Optical mark-sense scanning has lead to a resurgence in the use of paper ballots in the United States, despite a century of strong competition from paperless direct-recording voting systems. 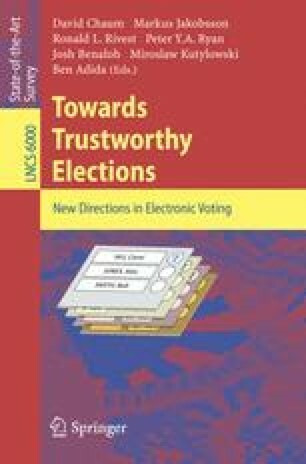 By the time mark-sense technology emerged, procedural measures had been developed to counter most of the vulnerabilities of paper ballots. Automatic counting of paper ballots poses technical and legal problems, but by counting the paper ballots automatically in the presence of the voter, mark-sense systems address some of the remaining problems with paper ballots. The best current technology uses precinct-count optical scanners to capture pixelized images of each ballot and then process the marks on that image. While this technology may be among the best voting technologies available today for the conduct of complex general elections, it faces one significant problem, access to voters with disabilities. There are promising solutions to this problem, but work remains to be done.